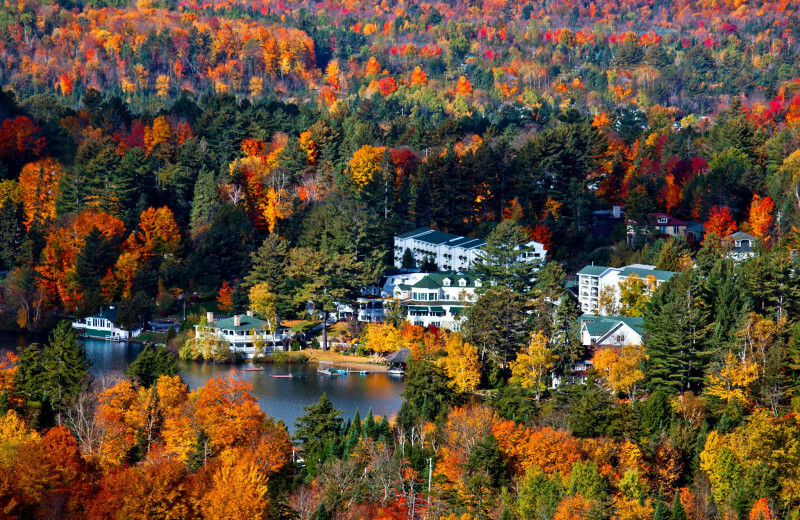 The Mirror Lake Inn Resort and Spa is a luxury lakefront resort in the Adirondack Mountains. It's long been a heavenly getaway for couples and families. 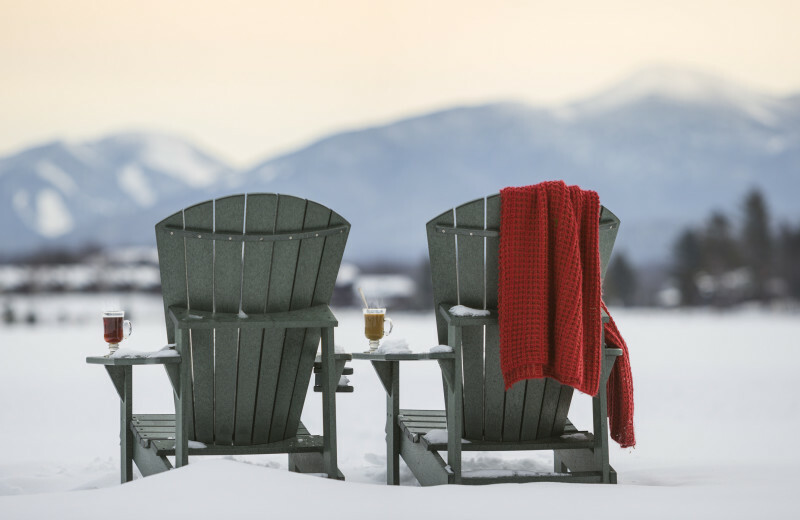 Lake Placid is the perfect place for outdoor enthusiasts and the ones they love; this year-round destination often hosts world-class sporting events and offers an array of quaint shops and antique stores. 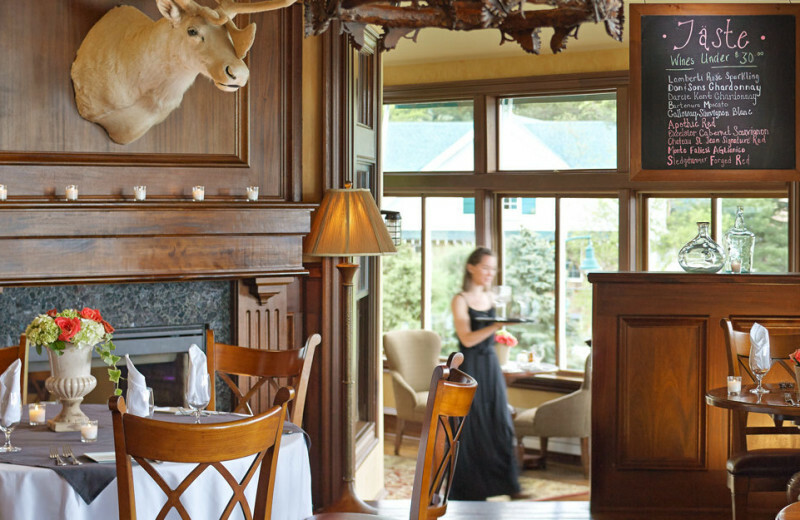 The inn enlivens the senses, providing a personalized experience for the body, mind and palate. 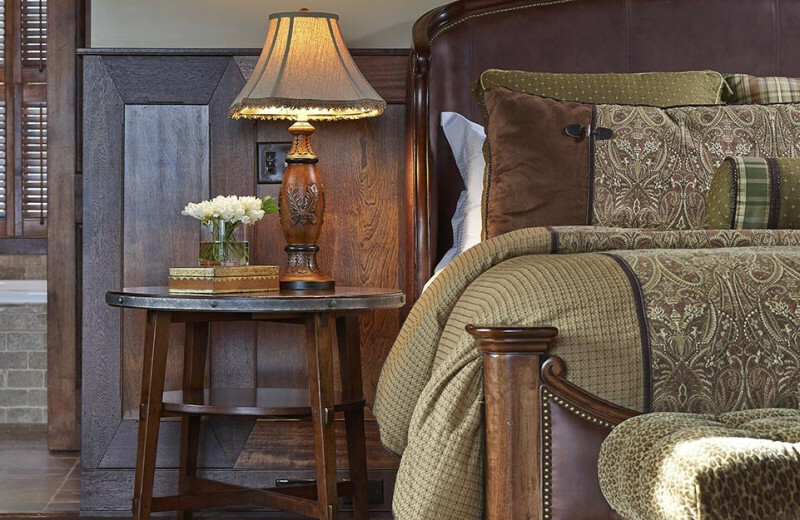 Built in 1883 as a private home and opened to guests in 1924, the inn retains an old world feel with mahogany accents, antique stained-glass windows and sumptuous amenities. It's all made complete by three amazing restaurants. 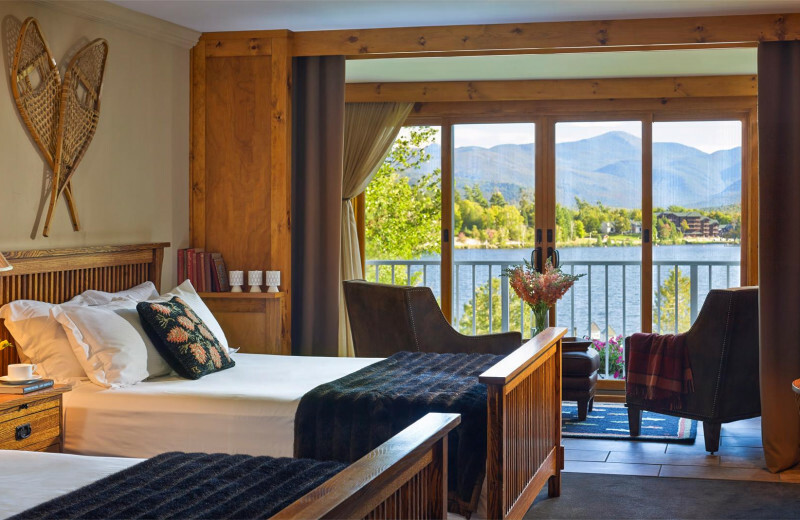 The Mirror Lake Inn is where memories are made and traditions begin, with casual elegance in the Adirondacks. At Mirror Lake, there's so much available onsite, you'll never have to leave the grounds! Enjoy a private skating rink, tennis courts, and outdoor and indoor pool and three amazing restaurants. 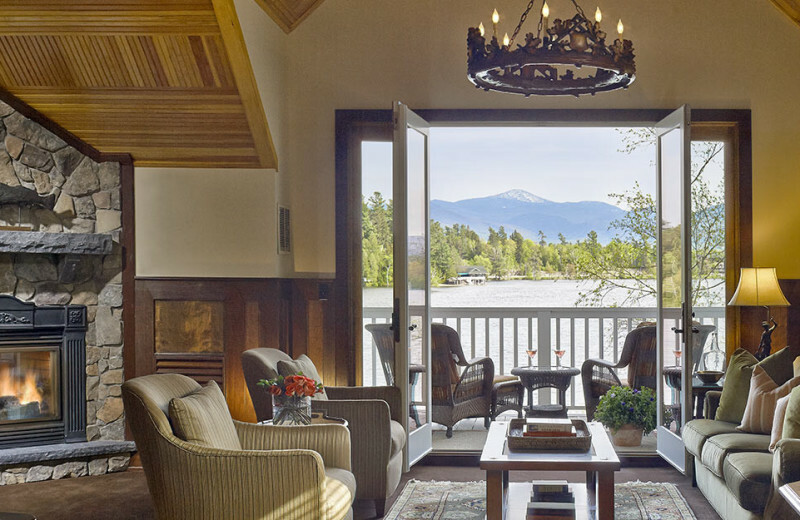 You won't have to worry about travel at all when you stay at this Lake Placid destination. This is the perfect place to start a family tradition! 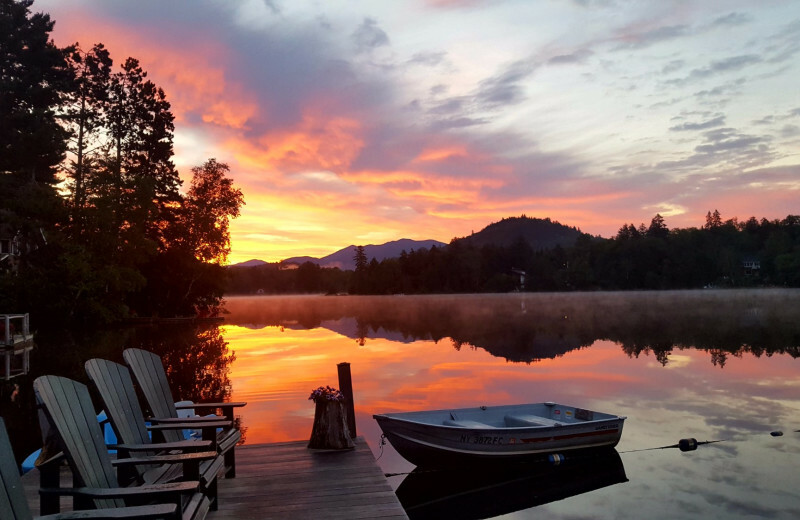 Mirror Lake Inn's seven beautiful acres in the heart of the Adirondacks offers you a place to unwind and reconnect with your loved ones. 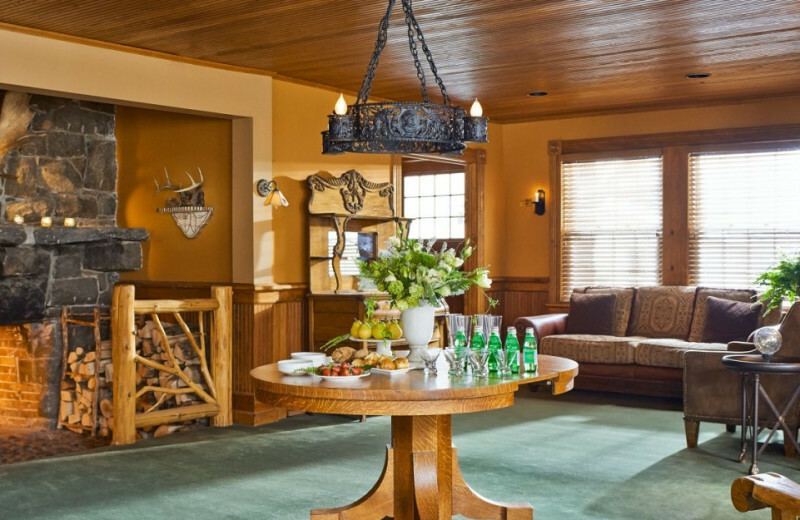 Onsite, you will find plenty of options for entertainment including a private outdoor ice skating rink, tennis courts, an outdoor pool, and a 60-foot indoor pool! 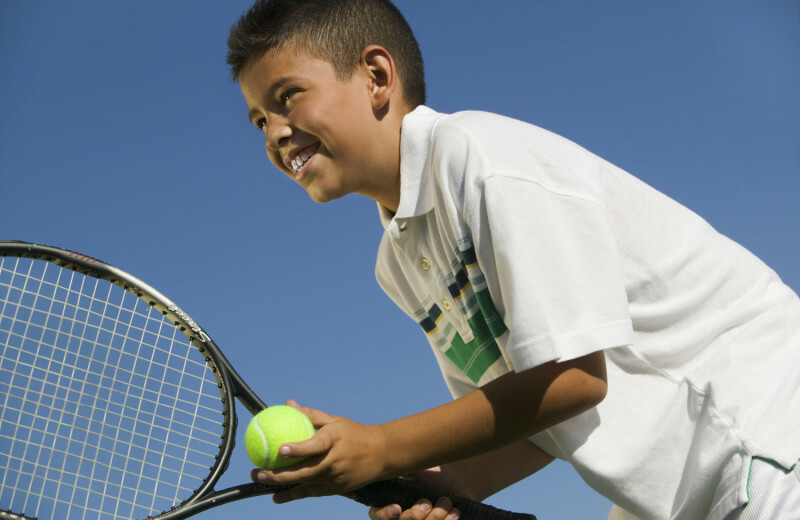 Let the activities concierge help plan your day! And afterwards, your cozy accommodation that features modern amenities such as stone fireplaces, cable television and DVD players, is the perfect place to come home to! 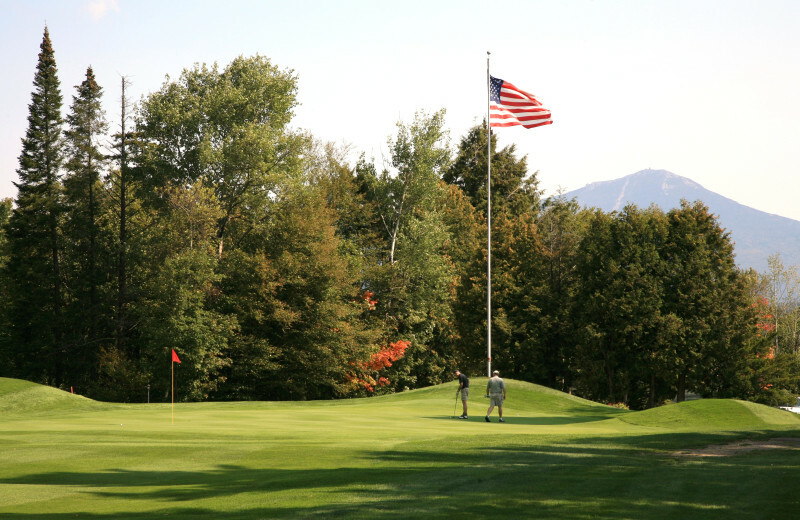 Escape the stuffy offices and bring your team to the inspiring Adirondacks! 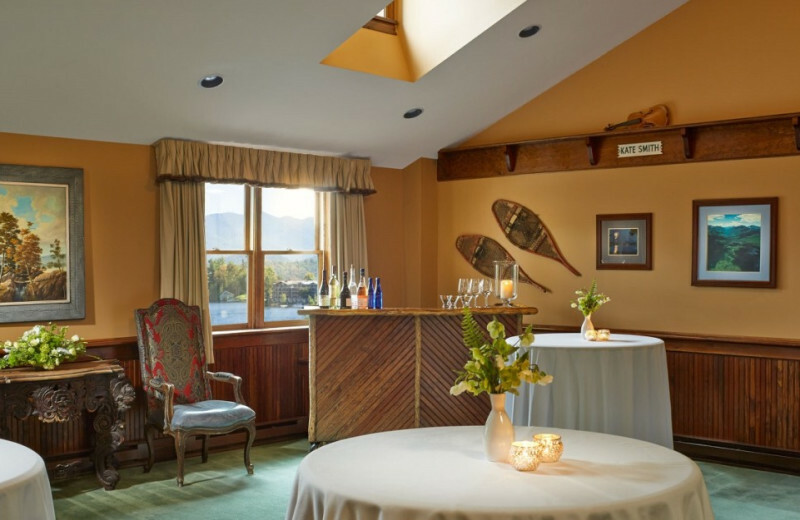 With over 6,000 square feet of luxurious and versatile meeting space, Mirror Lake Inn is your ideal destination for Lake Placid business retreats. 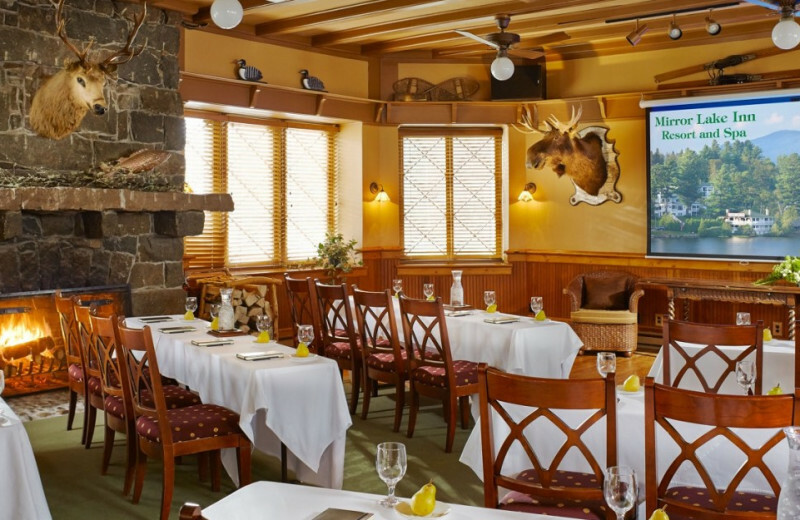 They offer high-speed wireless internet access, AND multimedia equipment to help make your New York meeting or conference a success. 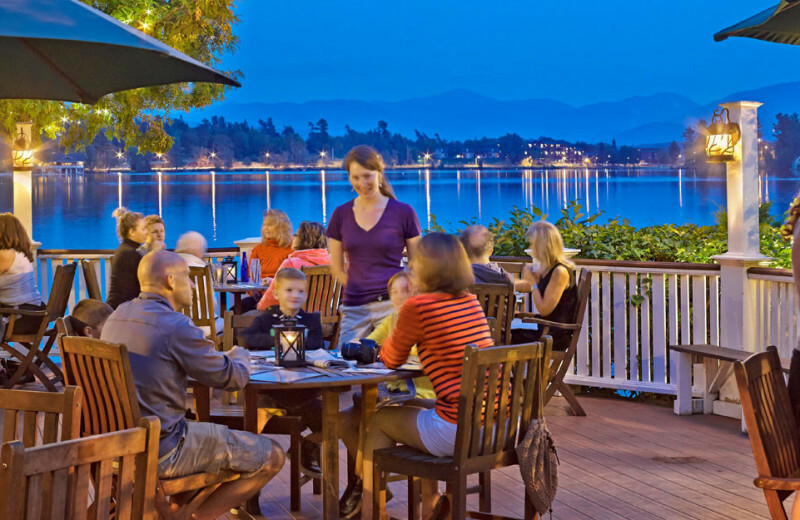 Bring the whole family together for fun and relaxation at Mirror Lake Inn! 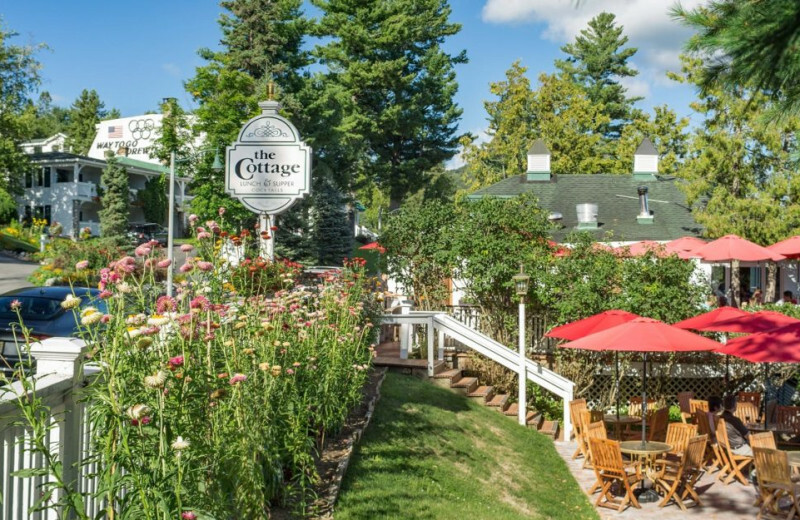 With the stunning Adirondacks surrounding you, this charming inn offers a place where you can truly reconnect with your family. 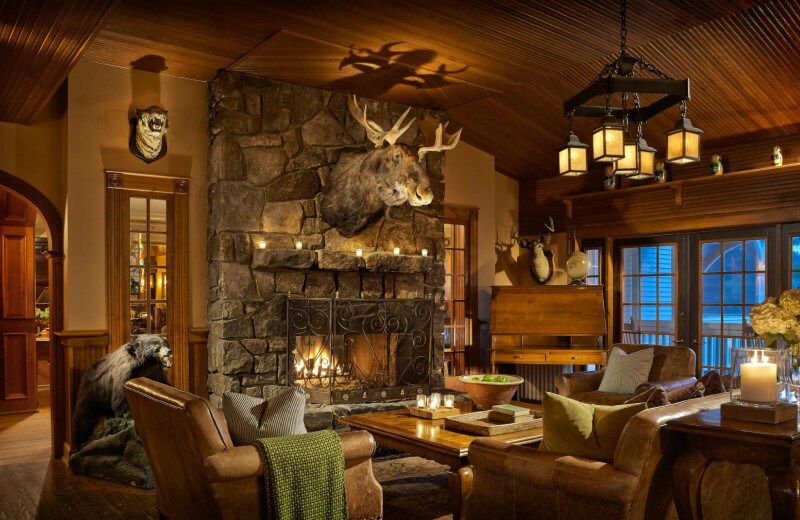 Cozy accommodations ensure everyone has a place to rest comfortably, while the variety of on and off-site activities are sure to keep everyone busy. 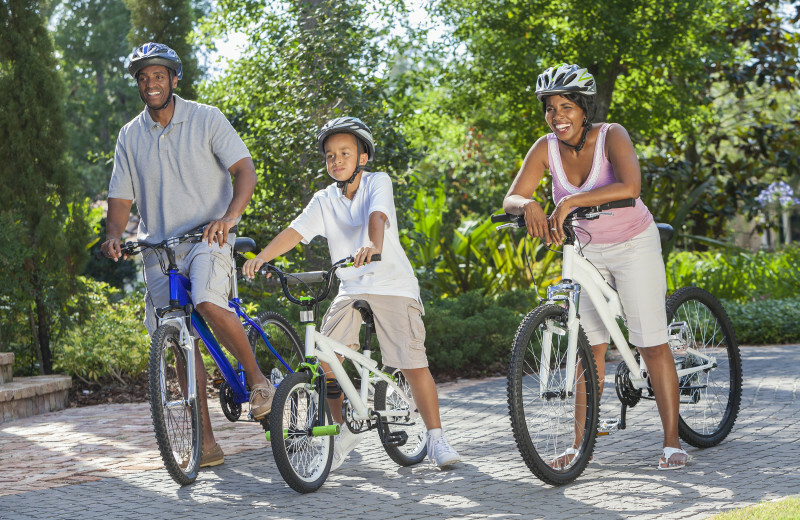 Whether you spend a day at the pool or go exploring on the nearby trails, you're sure to have an unforgettable time! 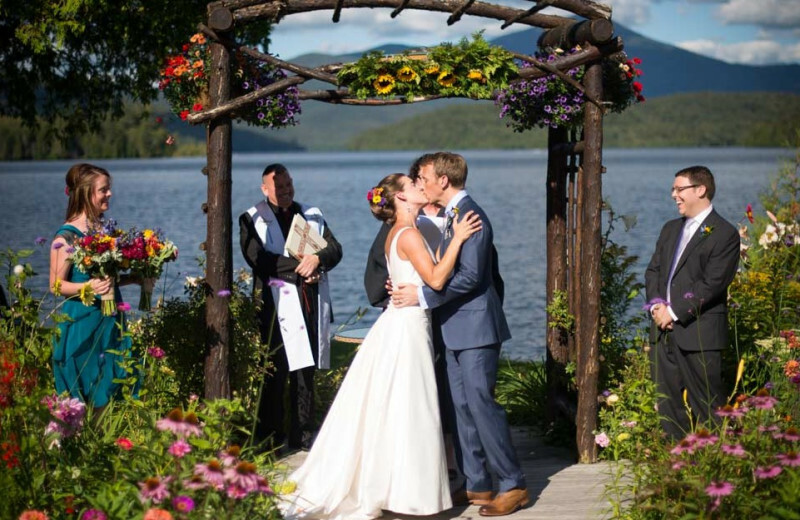 Enjoy a perfect luxurious Adirondack wedding at Mirror Lake Inn Resort and Spa. 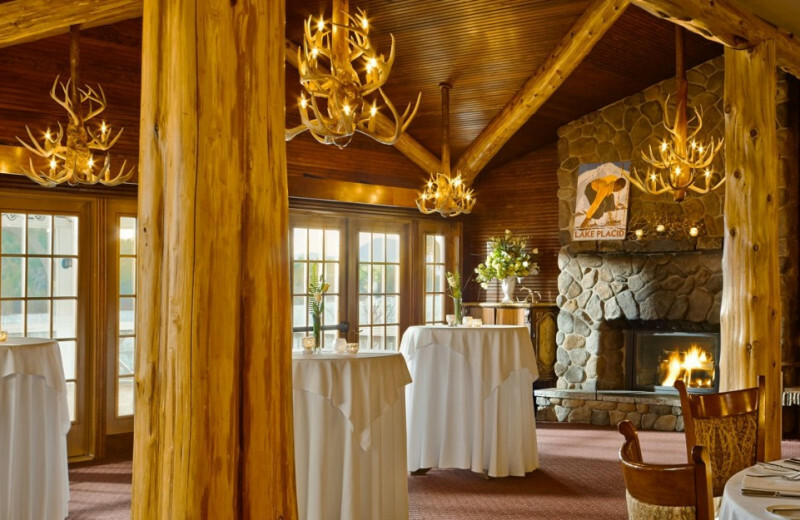 The beautiful mountain peaks create a breathtaking backdrop for your special day. 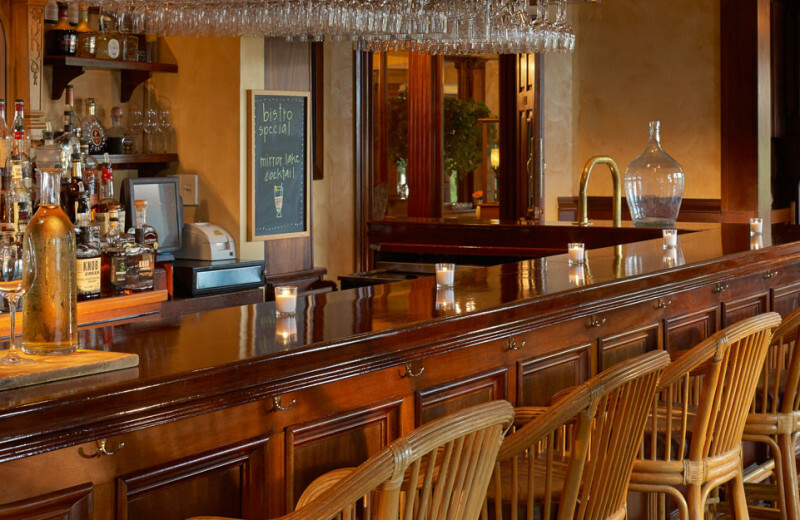 Let their helpful staff orchestrate all the details, such as guest accommodations, catering services, and much more! 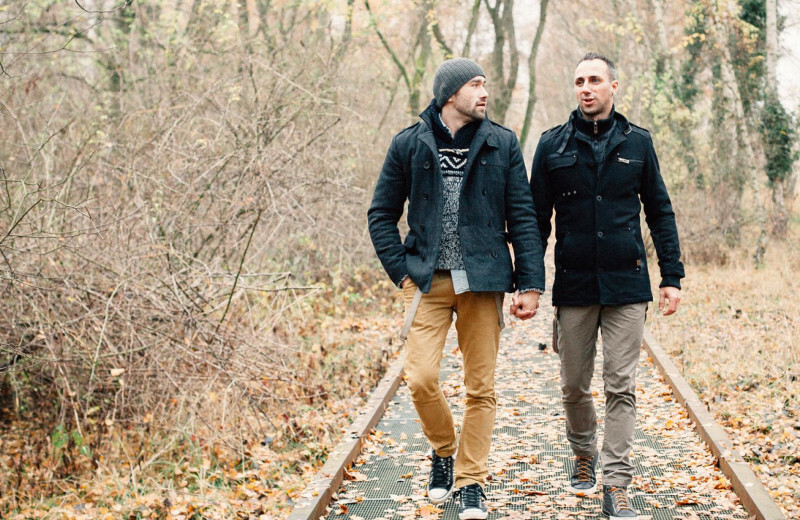 There's no better place than this to celebrate your big day! 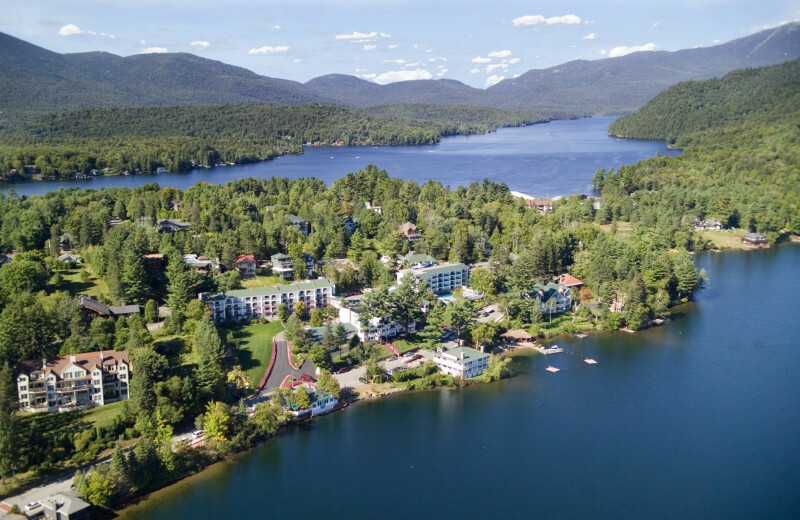 As if the surrounding mountains and breathtaking lakes weren't enough, Mirror Lake Inn is also near the 6-million-acre Adirondack Park with 46 peaks and 30,000 miles of rivers, streams and brooks. You can hike parts of the more than 2,000 miles of trails. Snowshoeing is excellent in winter and wildlife abounds all year round. 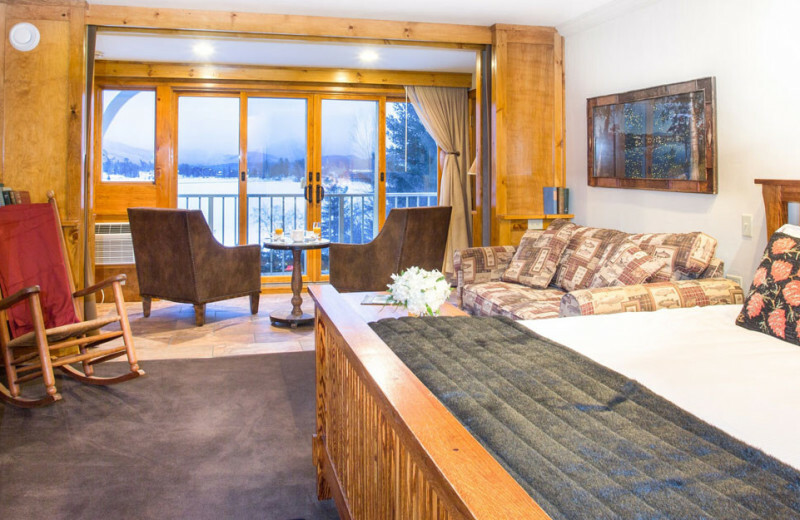 Let the Mirror Lake Inn host your next romantic retreat, and discover how quickly the two of you can reconnect. Enjoy a refreshing couples' massage or a signature treatment at the spa. 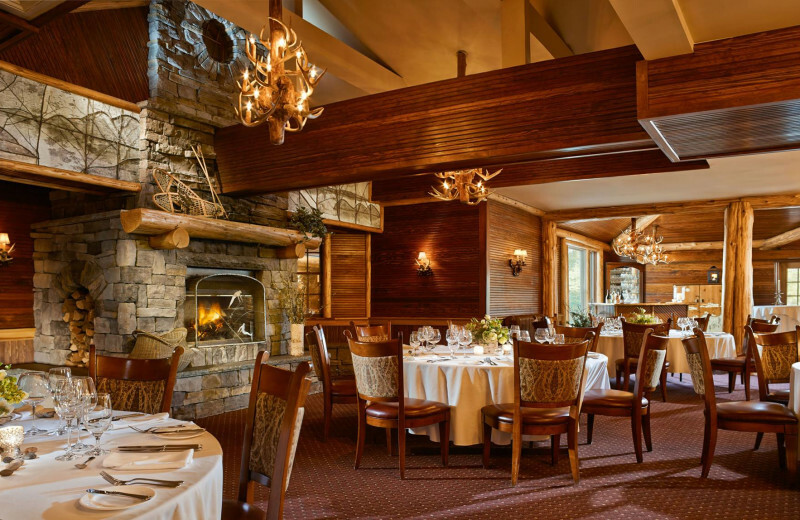 Indulge in a candlelight dinner at The View, with its world-class cuisine. 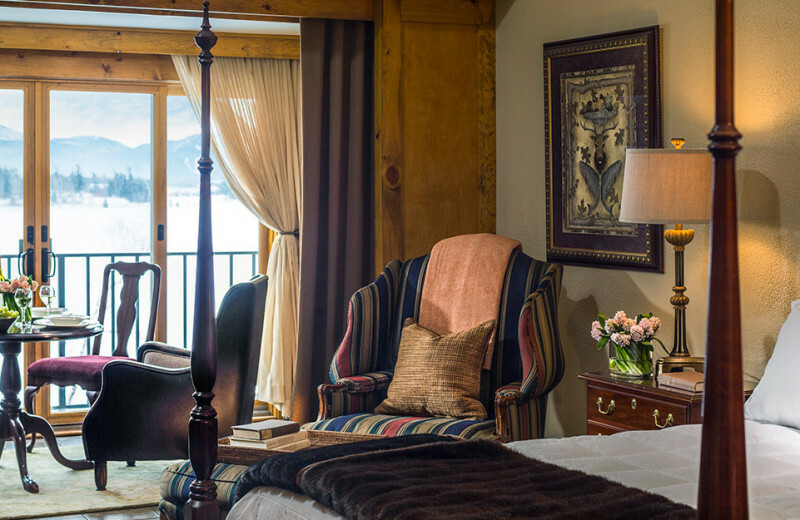 Then retire to a room or suite made to suit just the two of you. 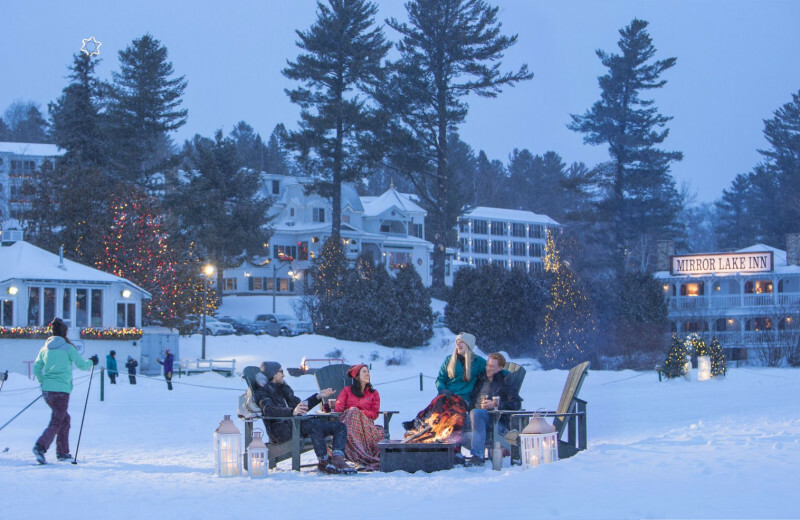 Just 15 minutes from Whiteface Mountain and ranked by Condé Nast as one of the top ski hotels in North America, the Mirror Lake Inn is a free shuttle ride away from thrilling days of downhill and cross-country skiing. 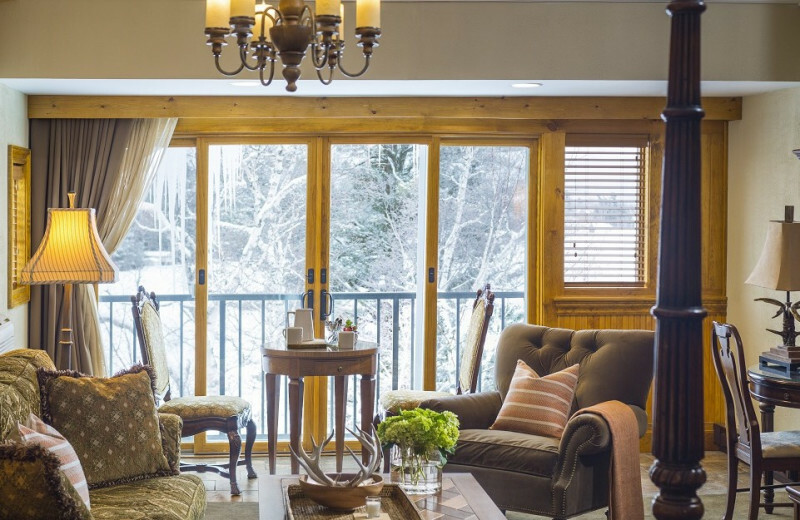 The activities concierge can help you plan every detail and ski packages make the perfect getaway even easier! 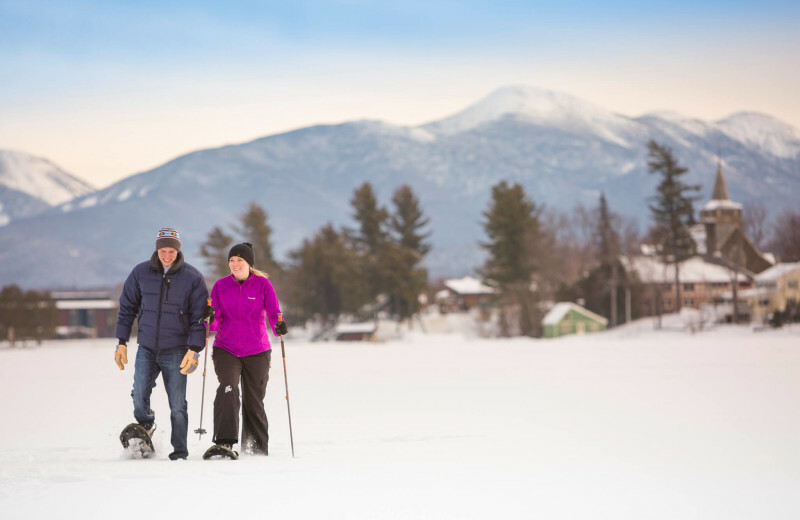 Don't leave anyone behind on your Lake Placid vacation! 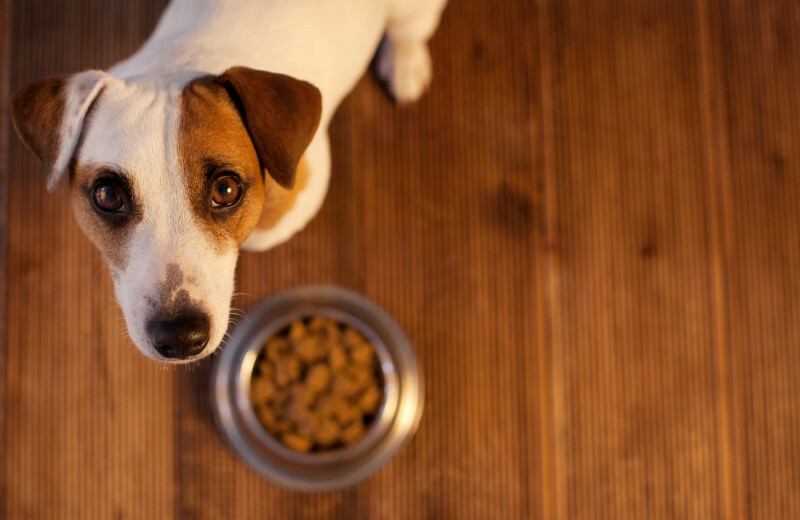 Let the staff at Mirror Inn Lake & Spa know that you'll be bringing along your four-legged companion so they can ensure you're enjoying a pet-friendly accommodation. Come explore all the beautiful surroundings of the Adirondacks with your furry friend at your side! 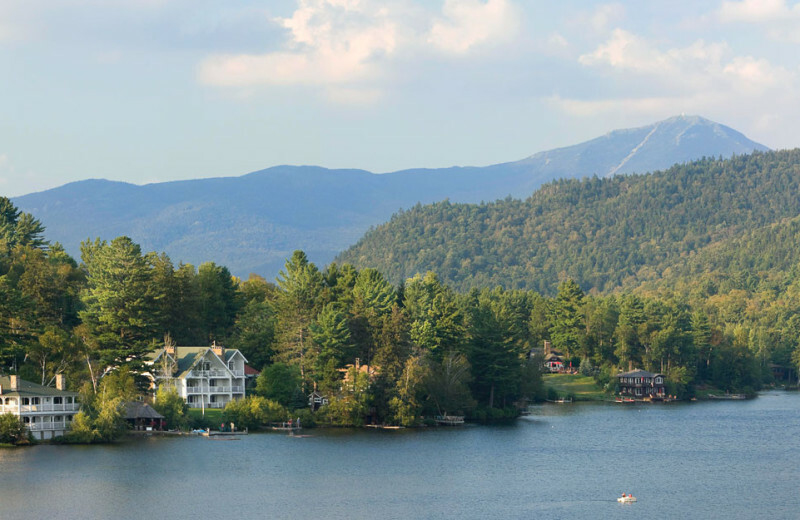 If the surrounding mountains weren't enough to inspire you to preserve the area, Mirror Lake Inn is also near the 6-million-acre Adirondack Park with 46 peaks and 30,000 miles of rivers, streams and brooks. This area will take your breath away and inspire you to do what you can to give back. Ask the friendly staff what you can do to help out, you'll be happy you did. 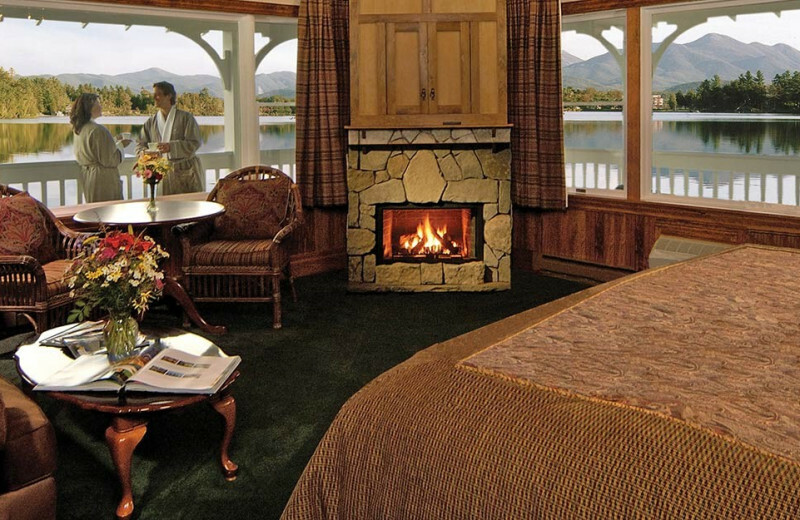 Mirror Lake Inn's track record of excellence includes the AAA Four-Diamond rating for 27 consecutive years. It's a member of the "Small Luxury Hotels of the World" brand, meeting the highest standards of excellence. It offers the ultimate in service. 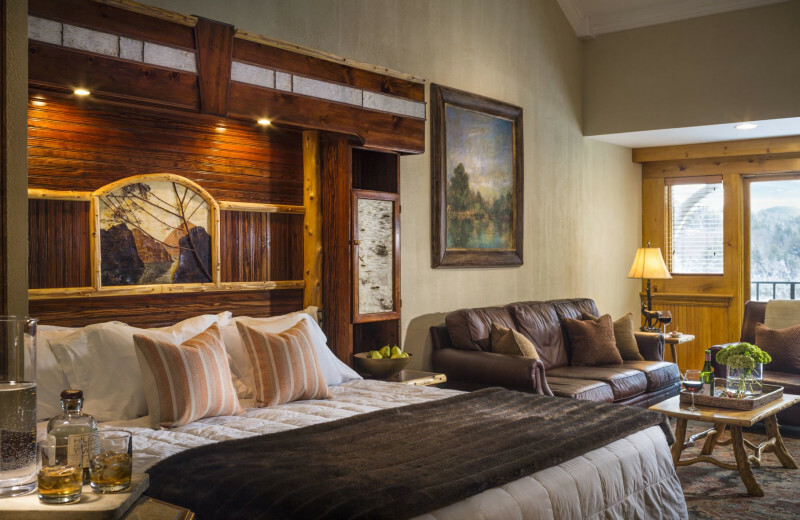 Here, your getaway is truly unique and deserving of the utmost personal attention. 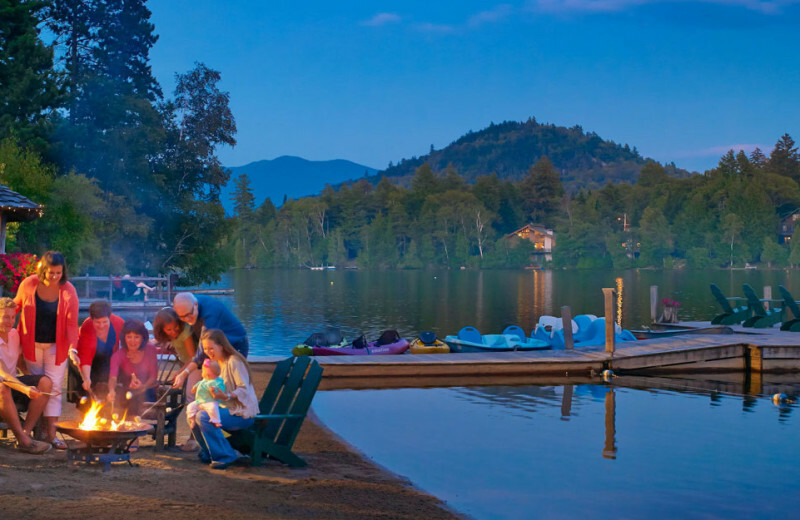 As part of the famous Canadian Shield, the Adirondacks are renowned for their stunning beauty, variety of wildlife and pure relaxed ambiance. 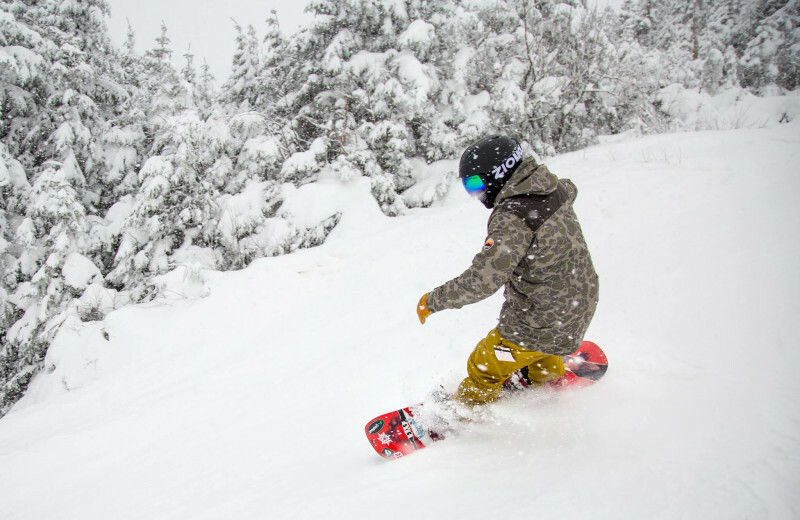 You'll see why the minute you arrive: the truly stunning views include New York's highest peaks, and outdoor-lovers will revel in scenic mountain trails, downhill skiing and more. 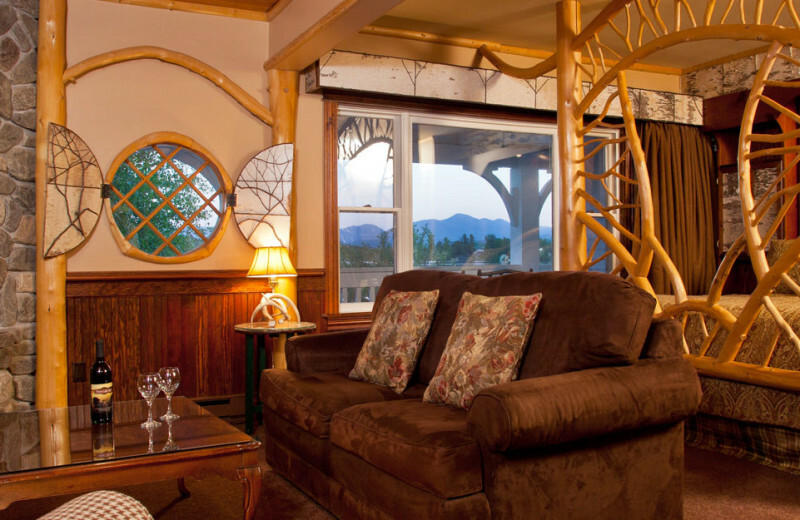 Let the Mirror Lake Inn serve as the setting for your inspiring mountain getaway! 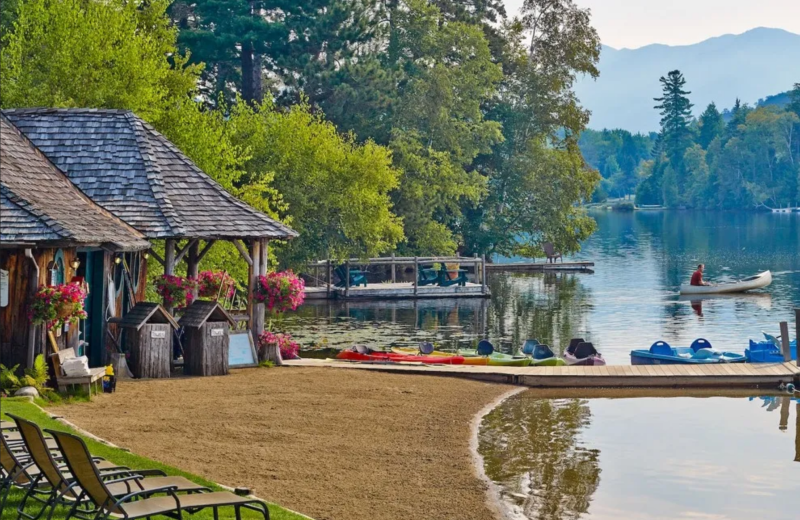 While at Mirror Lake Inn Resort & Spa, enjoy Mirror Lake by strolling around the edge in the morning or taking a boat ride. Bring your fishing pole along for a chance to reel in your limit of panfish and a variety of bass species. Explore this beautiful body of water at your own pace the next time you travel to Mirror Lake Inn & Spa. 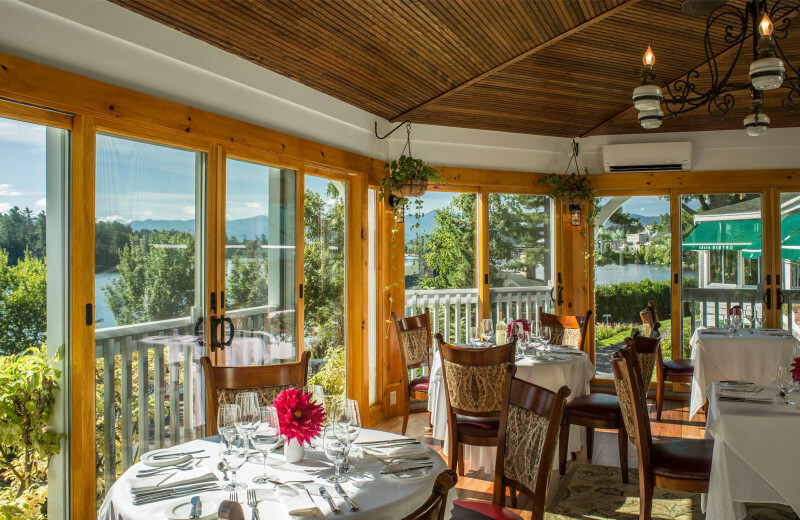 From its beginnings as a private estate in 1883, Mirror Lake Inn has had an enriching journey that rubs off on every one of its guests. It was born as a resort in 1924, of the original Fuller Brush fortune & it quickly became a place where the wealthy would gather. Today, it retains its upscale charm, but it's just for you! 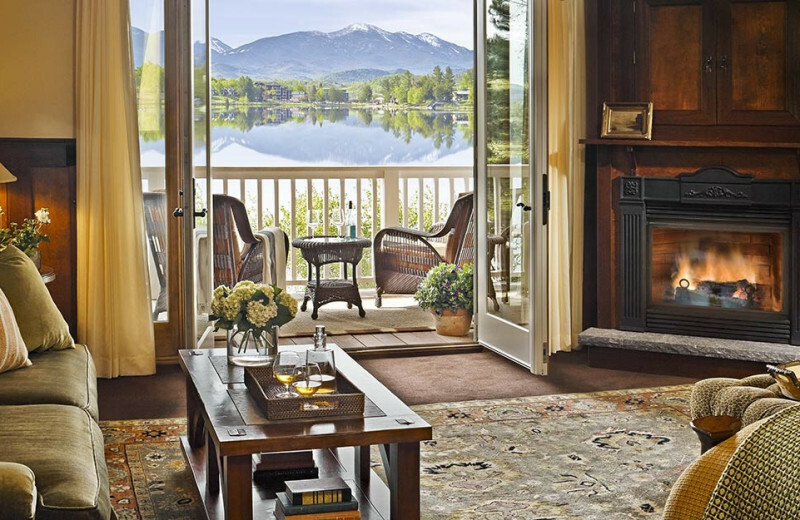 Start your lives together at Mirror Lake Resort & Spa in beautiful Lake Placid, New York. 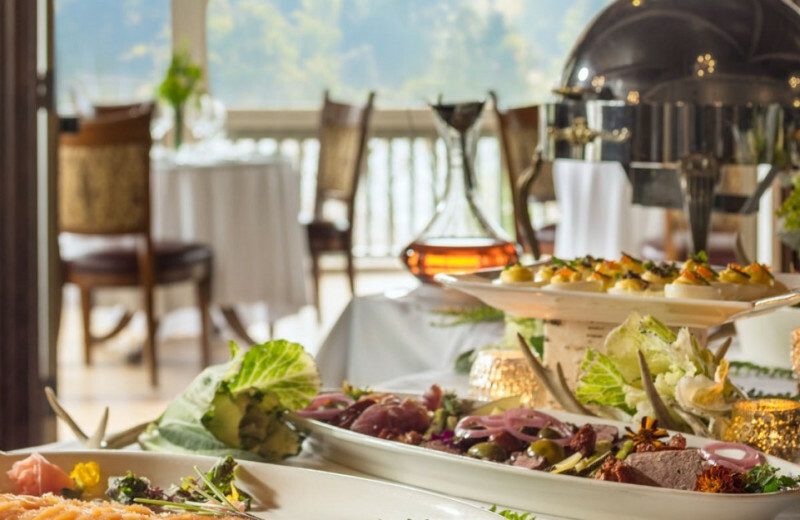 Explore the incredible natural surroundings during your stay and then indulge in a delicious dinner at one of three onsite restaurants. 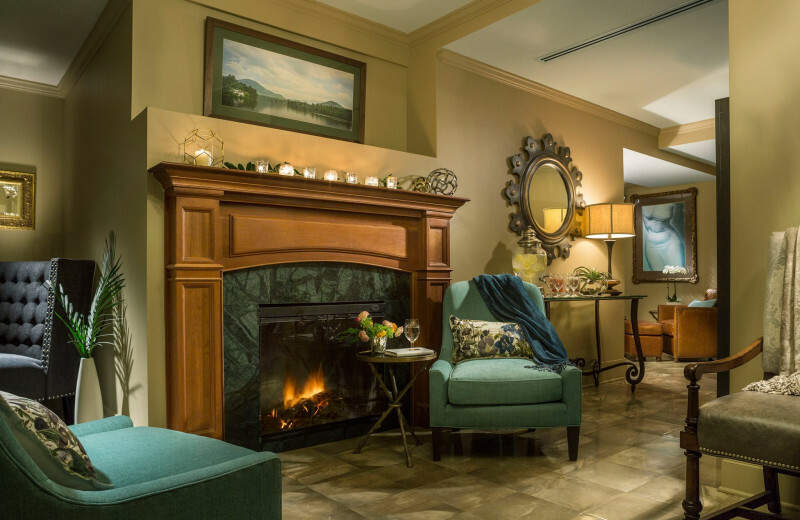 Afterward, treat yourselves to a couple's massage or snuggle up by the fireplace! 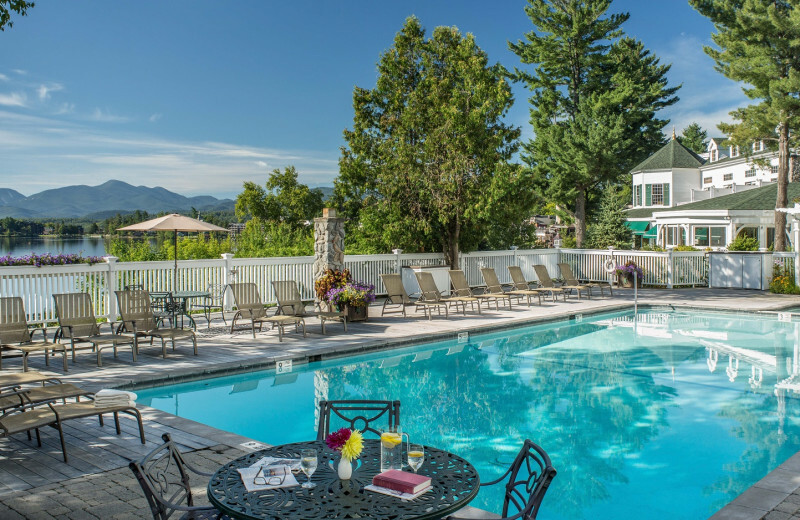 The fresh air of Lake Placid will reinvigorate you on your next vacation to Mirror Lake Inn Resort & Spa. While you're here, go for an early morning hike. 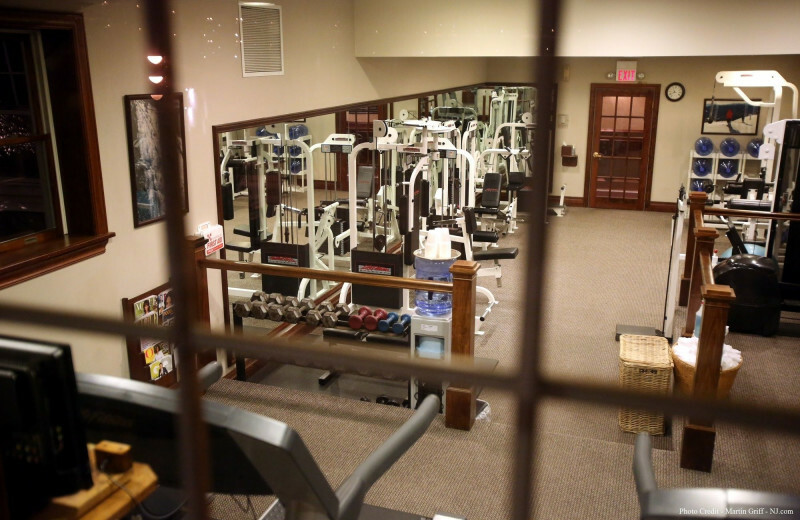 Afterward, treat yourself to a treatment at Mirror Lake Inn's spa. The full-service spa will make you feel like a brand new person. Book your next vacation here today. 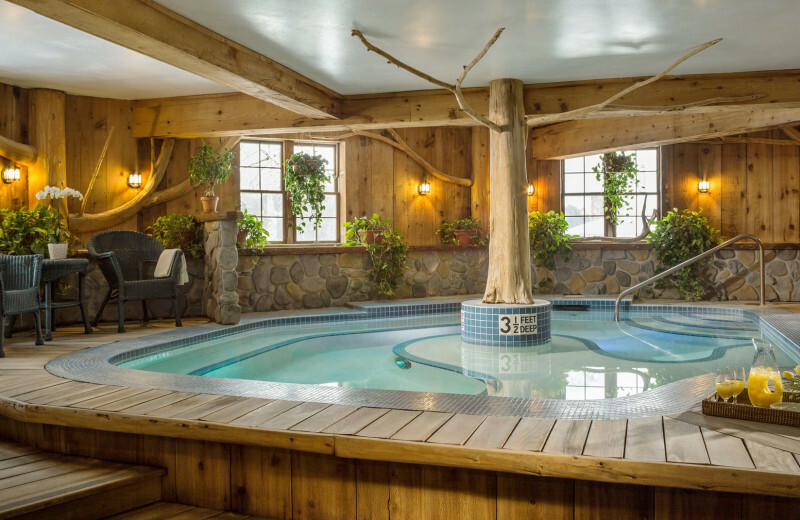 Revive your senses and rejuvenate your body at the Mirror Lake Inn's spa. The full-service spa and salon pampers your body and refreshes your mind with its menu of services including signature spa treatments. 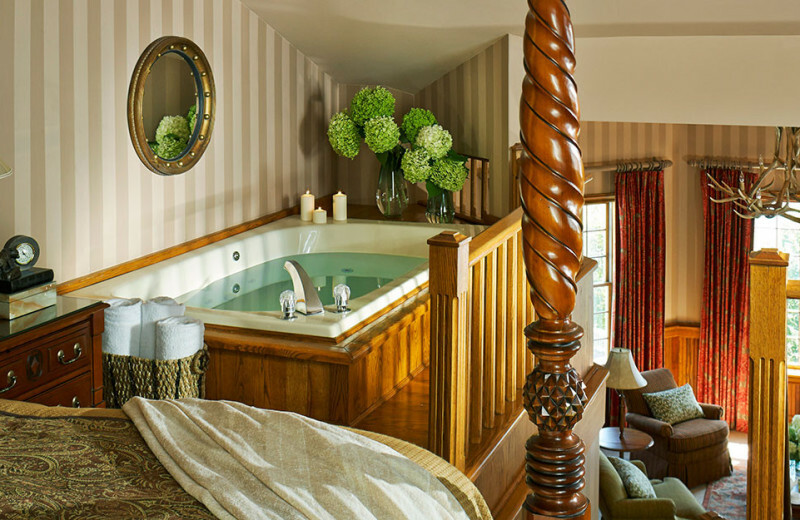 Its plush sanctuaries, accented in marble and mahogany complete with whirlpools and fireplaces, inspire tranquility. 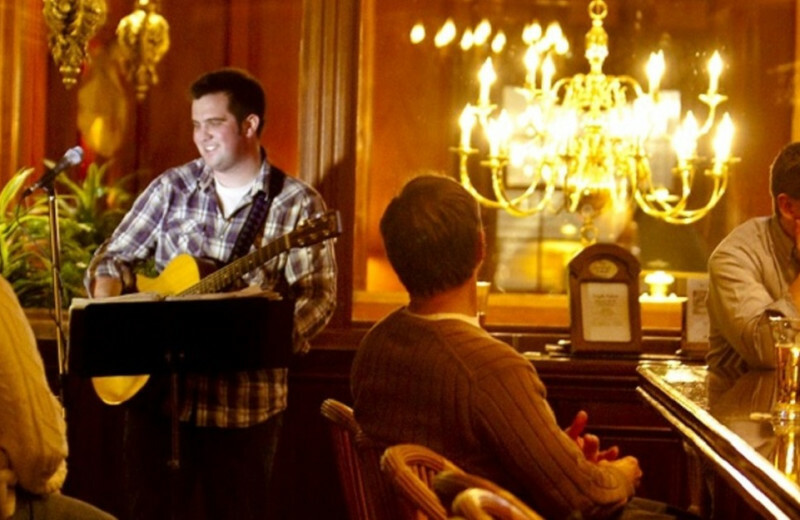 Plan your next group event at Mirror Lake Inn Resort & Spa. 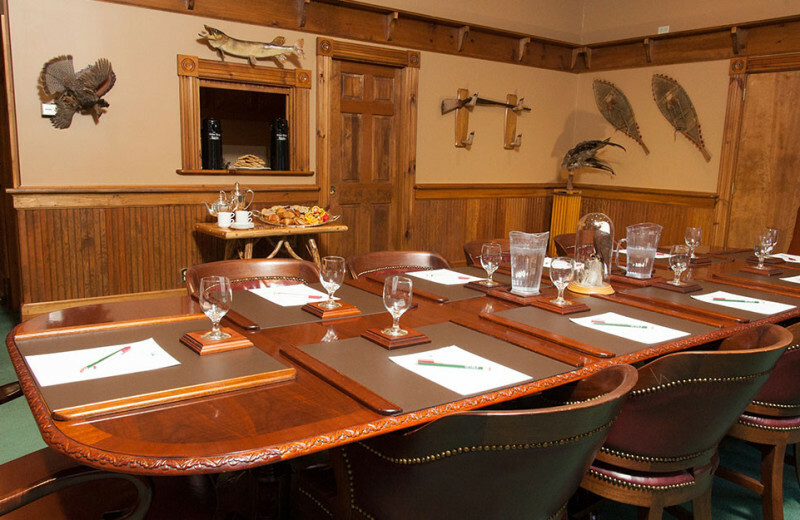 The Mirror Lake Inn offers Adirondack-style meeting rooms for corporate retreats and board meetings of up to 200, all with world-class dining and services. Inquire now! For more information please call +1 (866) 689 - 4706 or Send Inquiry. 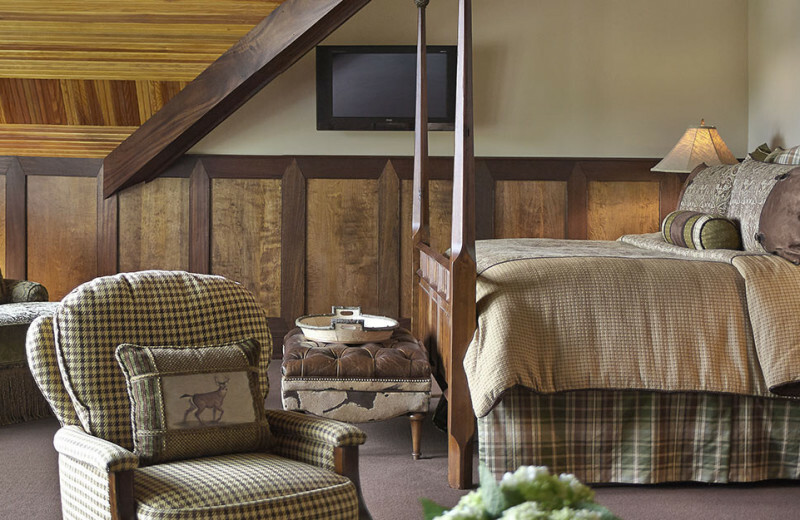 This property is ranked number 1 on Top New York Romantic Inns and Hotels. Read about it here.